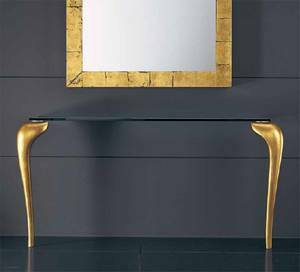 Description An elegant console table with a 15mm thick transparent glass top. The slender solid wooden legs are available in the finishes black, white, cherry, light cherry and wenge, and are fixed to the table using satin metal discs. We will call you to specify leg colour once you have placed the order (gold or silver legs are extra). Custom sizes can be accomodated, please call or email us for a specific quote.